You don’t have to worry about getting a worse experience just because you’re playing on a smaller device. Most of the mobile-friendly versions of the web-based poker sites as well as poker apps offer a similar variety of poker games. Not only that, you’ll also find platform specific tournaments that are only available to mobile poker players. We’ve provided a list below of great mobile friendly browser poker rooms and mobile poker apps to get you started. If you feel like you’ve already gotten grips with these then check out our Poker Site Reviews for more poker action. Looking for a great all-rounder? The WSOP platform covers it all with one of the best game and menu visuals, along with excellent game-play and fluid animations. We loved their digital gifting feature which allows you to interact with other players and adds another dimension to the game. If you're bored and just looking for a quick stress-free game of poker then head on over to Full Tilt. They run a solid play-money platform and uphold a great social environment for everyone so there's hardly any issues with player behaviour. They provide you with a large range of game options so you'll never get bored. 1.5.2 What Payment Methods Can I Use for Android Poker? 1.5.3 What Are the Benefits of Android Poker? 1.6.1 Is it safe to play online poker on the iPhone? 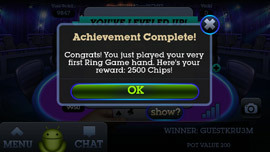 1.6.2 What poker games can I play on my iPhone? 1.6.3 Can I play both free money and real money poker on my iPhone? 1.6.4 Can I use the same account on my iPhone as the one I use on my computer? 1.6.5 How difficult is it to make deposits and withdrawals on my iPhone? 1.6.6 Is it safe to play online poker on the iPad? 1.6.7 Can I play the same type of poker games on my iPad as i do on my computer? 1.6.8 Are both play money and real money available on my iPad poker? 1.6.9 Can I use the same account on my iPad as my web poker account? 1.6.10 How do I make deposits and withdrawals on my iPad poker account? 1.6.11 Is it safe to play online poker on my android device? 1.6.12 Do I have access to the same variety of poker games? 1.6.13 Are both play money and real money available on android poker? 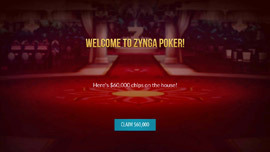 1.6.14 Can I use the same poker account from the poker website on my android device? 1.6.15 How can I make payments to and from my android poker account? Since the advent of the internet, technology has come a long way. It used to be that the only way to access the internet was to be stuck at one physical location using a desktop computer. Things have changed over the years. In October of 2016, for the first time ever, mobile internet usage surpassed desktop internet usage. Now that people are always on the go, they demand MOBILITY. They can’t afford to be sat at a desk all day, and neither can poker players. Realising this trend, the poker industry started to offer poker players the ability to play their favourite games right from the device in which 95% of the American population owns, a mobile device. Although mobile poker its still in its infancy, due to the technological advancements of hardware and software, there are more mobile poker apps than ever before. More importantly, majority of them, especially the ones that are subsidiaries of major web-based online poker sites, work just as well as their web-based counterparts. You might be thinking it’s difficult to find the right poker app for your mobile device, but you’ll be happy to know that the bests of the best mobile-friendly sites and poker apps will be compatible with all the major mobile devices and platform. Below is a brief summary of the most popular mobile devices used by poker players on the go. If you haven’t heard of this device, where have you been?! It’s the single most famous name in mobile device history, and forever changed the mobile phone industry. It holds the crown for being the most sold mobile phone, pretty much year after year since it was first introduced. Naturally, if you have one of these, there is no shortage of available poker apps for your phone. More than 1 billion iPhones sold, 700 million units currently in use and dominating about 40% of the whole mobile market, it’s fair to say the iPhone has made an immeasurable impact on people’s lives. What was once simply used for making calls, sending SMS messages and occasionally checking emails is now a fully-fledged on-the-go entertainment device. With its ever-growing influence, the iPhone began to dominate the mobile gaming market, overshadowing the segment leaders like Nintendo and Sony. Recognizing this trend, developers and gamers alike increasingly gravitated towards the iPhone platform, signaling the end for the stand-alone mobile gaming systems. 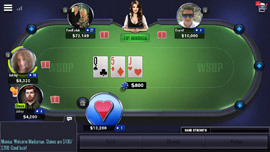 One form of popular mobile entertainment is mobile poker. The iPhone put smiles on 100 million faces. That’s right. 100 million people play poker around the world. That’s more than the number of people that play golf or tennis. With the advent of mobile Poker on platforms such as the iPhone, these 100 of millions of players can now enjoy the game of poker on the move! You no longer have to rush home, find an internet café, or whatever the case maybe to access online poker, because now you can play poker wherever you are, right there on your iPhone. Most of the major online poker sites have a mobile version of their site, available to all players and is very easy to download onto your iPhone. There are also other stand-alone mobile poker apps that offers just as many types of poker games. The biggest benefits are ease of access and mobility. Just about every single person nowadays has a mobile phone. About 40% of which are iPhones. Having an iPhone means you have access to your favourite mobile poker room right at your fingertips. Chances are, your iPhone is always with you so as long as you have internet connection and battery life, you can play online poker on your iPhone wherever you are. You’ll also not have to worry about a shortage of opponents because no matter what time you’ll play, there will always be someone ready for you to take their money off them. Funding your iPhone poker account is as easy as funding your online poker account. Pretty much all the payment options that are available to you for online poker are also available for iPhone poker. Take a look at our “payment options page” to find the one that works best for you. Sometimes, playing online poker on your computer at a desk simply feels like work. It doesn’t feel as relaxing. You’d much rather just come home from work, flop on your sofa and relax. Well, now you can! With so many mobile poker sites and apps available on the iPad, you can just kick back and relax and enjoy your favorite game of poker from the comfort of your couch without burning your laps with a heavy and clumsy laptop. Much like the iPhone, iPad’s popularity in the world of tablets is unchallenged. Offering a beautiful display and flawless user interface, you’ll have no complaints when playing mobile iPad poker on this gorgeous device. Although mobile phones like the iPhone is definitely much smaller and more convenient to have while on the move, when you’re able to settle down somewhere, even for a little while, a device like the iPad offers you more screen real estate, and generally a more immersive and fun experience. Since fun is what Poker is all about, it definitely helps to choose the right device for the job, and sometimes, an iPad is that perfect device. You can either access your favorite online poker site directly on the iPad via a browser like google chrome, or you can download an app and play from within there. You’ll find most of the popular online poker sites have a mobile app version for which you can download and play on your iPad. Same as playing iPhone poker, the biggest advantage that comes with playing iPad poker is freedom. You can play anywhere and anytime, as long as you have internet connection and your ipad is charged. If you’ve already been working at a desk from 9-5, chances are you don’t want to be stuck at a desk again once you’re back at home. Instead, kick back on the sofa and relax while playing poker on your iPad. Some poker sites also offer special bonuses specifically for iPad players. So keep an eye out for these when choosing your iPad poker sites. For the majority of cases, funding your iPad poker account is exactly the same as funding your desktop poker and web poker site accounts. Also, you are able to use the same account if you’re playing on a mobile app version of your desktop or web poker site. 1.6 billion! That’s the number of Android devices shipped worldwide. It has long dominated the mobile market industry, and reached a record breaking high of 88% market share at the end of 2016. Favored by gamers and app developers alike, there is a whole host of poker apps available for this platform. In the US alone, 53.3% of the mobile market are android devices. That means, more than 1 in 2 devices is android. 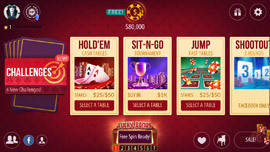 With 95% of Americans owning some form of mobile device, and more than half of those being android based, the poker gaming industry is well aware of the lucrative gaming opportunities this presents. 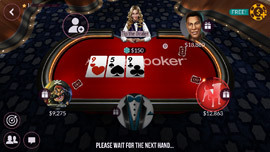 Not wanting to miss out, the poker gaming industry made sure that all android users have access to their favourite poker games, right from their mobile device. All the major poker sites all have a mobile friendly version and/or mobile app of their poker site. All you have to do is either access the mobile version of the site from your internet browser, or download the app straight to your android device, then you can start playing poker right away. What Payment Methods Can I Use for Android Poker? Most of the payment options that are available to you on the web version of the poker site will also be available to you on your android device. The process of making the deposits and withdrawals are also very similar. Just find the cashier section and choose either deposit or withdrawal. You’ll then see a list of all the available payment options. Choose one, enter the amount, then finish. Depending on which option you chose, the funds will be in your account instantly or up to a few business days. 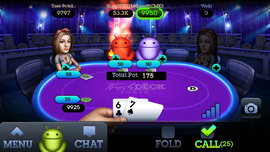 What Are the Benefits of Android Poker? The main benefit is you can now play poker anywhere and anytime. All you need is a mobile device, which, for majority of people is on their person for most of the waking hours, and internet connection. This mean you are never too far away from your favourite poker game as you can play even when you are away from your computer. 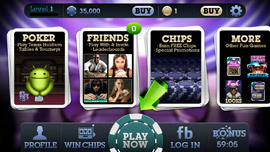 Some poker sites also offer special bonuses for android users. These differ from poker site to poker site, so make sure you keep an eye out for these when deciding on your poker site. Is it safe to play online poker on the iPhone? It’s just about as safe as playing at any online poker site. That is to say, Yes, it’s safe. 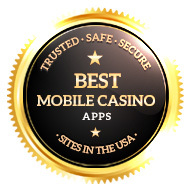 The mobile poker apps offer the same type of security protection you expect from the desktop poker sites. What poker games can I play on my iPhone? This depends on the iPhone poker app itself. For the most part, the app will offer the same variant of games as the desktop counterpart. However, be sure to check the app carefully to know exactly what type of poker is available. Can I play both free money and real money poker on my iPhone? Absolutely. In fact, we highly recommend you take some time playing with free money on any new iPhone poker app, just so you can get a feel for the app before you decide to play with real money. Can I use the same account on my iPhone as the one I use on my computer? Yes, as long as you’re using the mobile app version of the main desktop poker site. This means it’s super convenient for yourself, having access to the same funds for when you play on your iPhone and when you play on your computer. How difficult is it to make deposits and withdrawals on my iPhone? Making deposits and withdrawals on your iphone poker account is more or less the same as doing it on the desktop version of the poker site. You just have to navigate to the cashier section, choose either deposit or withdrawal, then decide on your payment method, and in most instances, depending on your payment type, you’ll have access to your funds in no time. Is it safe to play online poker on the iPad? Absolutely. Playing poker on iPad is no less secure than playing on their web counterpart. Your funds and personal information are protected by the same level of security as you would do playing on your computer. Can I play the same type of poker games on my iPad as i do on my computer? 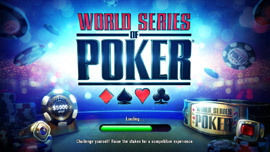 The same variety of poker games on offer on your iPad is the same as you get from the web version of the poker site. Sometimes there are also special type of tournaments only available to iPad poker players. Are both play money and real money available on my iPad poker? Yes! 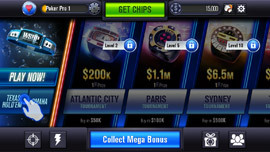 On most of the iPad poker apps, you’ll be able to choose either play money or real money. For new apps, we encourage you to first get to know the app while playing with play money, before playing with real money. Can I use the same account on my iPad as my web poker account? If you’re playing on the same site, or if you’re playing on the mobile version of the web poker site, then yes, you’ll be able to use the same account. How do I make deposits and withdrawals on my iPad poker account? The very same way as you do on your web poker site account. Just head on over to the cashier section, choose deposit or withdrawal, select your method of payment, enter the amount you with to deposit or withdrawal, then complete the action. Depending on your payment method, the funds will be processed either instantly or up to a couple of days. Is it safe to play online poker on my android device? Both mobile poker and online poker offer the same level of protection for your funds and personal information. Do I have access to the same variety of poker games? Most, if not all the poker games available on the website version will also be available to you on the mobile and app poker version. On top of that, there are some mobile android specific tournaments available from some poker sites. Are both play money and real money available on android poker? Most certainly. It is completely up to you whether you use play money or real money. 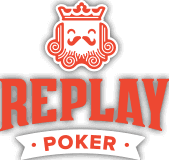 Obviously its more exciting and rewarding when using real money, but we do encourage you to first use play money on any new mobile poker site or app, just to get a feel of the place and make sure it’s the right one for you before proceeding to playing with real money. Can I use the same poker account from the poker website on my android device? If you are playing on the mobile friendly or app version of the main poker website, then you can absolutely use the same funding account. How can I make payments to and from my android poker account? The deposit and withdraw process is very similar to the one you use on the poker website. Simply visit the cashier section and follow the instructions from there for either withdrawal or deposit. The processing time varies depending on the method of payment you chose to use.